The Columbia Arts Experience (CAE) internship program provides students with a New York-based spring internship in the arts, media, and entertainment industries. Throughout the CAE program, interns take part in educational programming designed to help students explore career possibilities in the arts industry. The CAE program offers internship experience at an arts organization, peer connections with other CAE interns, professional career development programming, and support from a career counselor. The CAE program, launched during the 2007-2008 academic year, is sponsored by CCE in partnership with the Arts Initiative. Pre-program training that includes a program overview, professional skills workshops, and discussion with arts professionals and past CAE participants. Twelve-week internship for 10-20 hours per week during the spring semester. Mid-semester check-in with program manager to discuss and debrief on internship experiences. One-on-one career counseling appointments throughout the twelve weeks to support and enhance the internship experience. End-of-program reflection session where you meet to unpack and reflect on internship experience and learn from your peers. $600 stipend to assist with living expenses associated with the internship (commonly used for transportation and lunch). For more information on stipend payments, please review this information from Student Financial Services. Gain a richer understanding of the arts industry in New York City by working at some of the premier arts institutions of the world. Be exposed to a wide variety of career possibilities, opportunities to network with arts professionals and other CAE interns. Develop an in-depth understanding of and appreciation for the many facets of an arts organization. Be able to articulate your experience and reflect upon your internship experience appropriately to highlight key transferable skills. You must be a full-time currently enrolled student in both the fall and spring semesters in Columbia College, The Fu Foundation School of Engineering and Applied Science, School of General Studies, Graduate School of Arts and Sciences or School of the Arts. You must be able to commit 10-20 hours per week for the entire 12 week internship. You are only eligible to be part of the CAE program once during your time at Columbia University. International students need to apply for Pre-Completion OPT (Optional Practical Training) or F-1 CPT (Curricular Practical Training) as these are off-campus internship experiences. 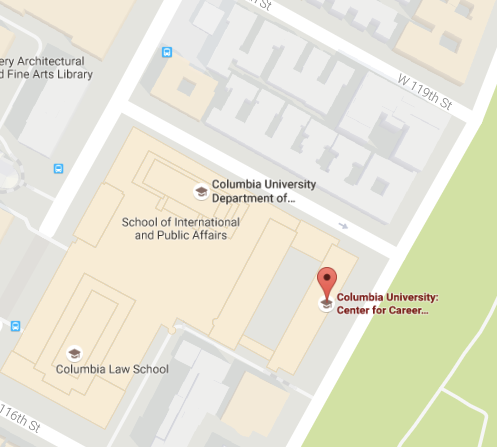 Visit the Columbia International Students & Scholars Office employment section to learn more. CAE internships will be posted in LionSHARE. Under the jobs tab using the label function, search “CAE-Columbia Arts Experience” to locate all program opportunities. You may apply to up to three (3) positions of interest. Transcript (can be unofficial): This is your current semester course schedule which you should access by logging onto Student Services Online, clicking on “My Schedule” and copying and pasting your course schedule into a Microsoft Word Document. The schedule should show your full name, school, Fall 2018 Courses, and enrollment status. Yes, if you are studying abroad during the fall semester, we encourage you to apply. You will be ineligible if you are studying abroad during the spring semester as you will not be able to fulfill the requirement of working 10-20 hours per week at the organization. How many internship can I apply to that are part of the program? Yes, you may apply for up to three internships offered through the CAE program. Submit all applications through LionSHARE. Looking for an internship? There are two great ways to find them. What Can You Do With a Degree in the Arts? An artist’s resume isn’t like your traditional resume. Make sure your resume stands out.